Selling Big premieres Wednesday, September 3 at 10pm ET/PT on Cottage Life. After a successful first season last fall, Selling Big is back on Cottage Life with 13 all-new episodes of tighter timelines, higher stakes and even bigger iron! Produced by Mountain Road Productions in association with Blue Ant Media, the documentary series follows the team at Ritchie Bros. – the world’s largest auctioneer of heavy equipment and trucks. Featuring a huge variety of equipment used in construction, mining, logging, agriculture and other heavy industries, this season will feature equipment with more specific functions and unique uses. From rock crushers to towering cranes, viewers get detailed information on what makes these pieces of equipment work and how they are used on the job site through detailed 3D animation – giving them a whole new close-up look at the inner workings of these iron beasts. “From massive six-wheel-drive trucks to huge high-tech tractors and 60-foot air drills, the iron in Selling Big is bigger than ever this year. It’s Mighty Machines for adults!” says Executive Producer Tim Alp. With a continued behind-the-scenes look at the preparation that goes into each Ritchie Bros. auction and travelling with their teams from Chilliwack, BC to Truro, Nova Scotia, this year will feature a unique perspective on the auction process from every region of the country. Additionally, Selling Big dives deeper into the world of agricultural auctions as it takes a closer look into the personal stories of Canadian farmers who have put their lives into the soil to make a living. This is the high octane, high pressure world of Selling Big. Tune in Wednesdays at 10pm ET/PT this fall on Cottage Life. Established in 1958, Ritchie Bros. (NYSE and TSX: RBA) is the world’s largest seller of used equipment for the construction, transportation, agriculture, material handling, energy, mining, forestry, marine and other industries. Ritchie Bros. TM solutions make it easy for the world’s builders to buy and sell equipment with confidence, including live unreserved public auctions with on-site and online bidding (rbauction.com), the EquipmentOneTM secure online marketplace (EquipmentOne.com), a professional corporate asset management program, and a range of value-added services, including equipment financing for customers through Ritchie Bros. Financial Services (rbauctionfinance.com). 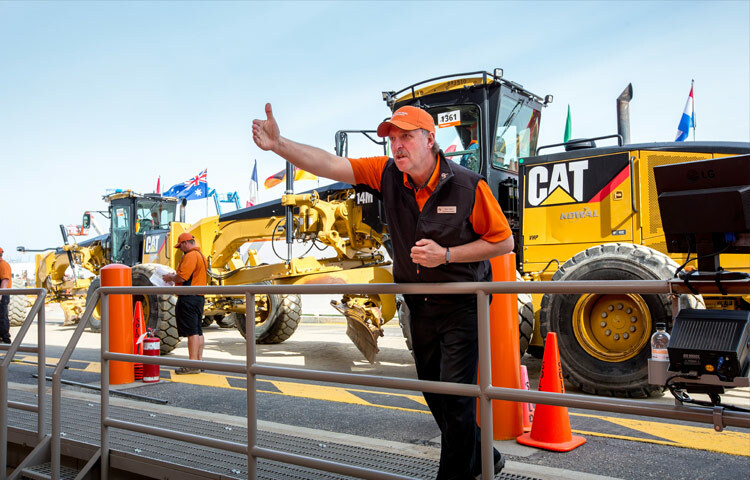 Ritchie Bros. has operations in more than 25 countries, including 44 auction sites worldwide. Learn more at RitchieBros.com. This press release, and the series Selling Big, may contain forward-looking information about Ritchie Bros. Auctioneers (Canada) Ltd., a regional subsidiary of Ritchie Bros. Auctioneers Incorporated, which involves material assumptions, risks and uncertainties, certain of which are beyond the control of Ritchie Bros. including, without limitation, factors influencing the supply of and demand for used equipment, fluctuations in market conditions and values of used equipment, seasonal and periodic variations in operating results, actions of competitors, economic and other conditions in local, regional and global markets, and other risks and uncertainties as detailed from time to time in Ritchie Bros.’ securities filings. Ritchie Bros.’ actual achievements could differ materially from those expressed in, or implied by, this forward-looking information and, accordingly, no assurances can be given that any of the events anticipated by the forward-looking information will transpire or occur. Any forward-looking information in this press release is made as of the date of this press release and Ritchie Bros. does not undertake any obligation to update publicly or to revise any of the included forward-looking information, except as may be required by applicable securities laws.